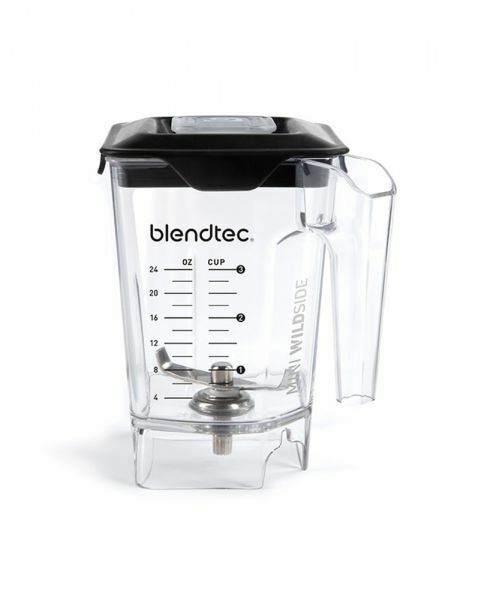 Blendtec, as usual, listened to their customers‘ wishes and created the Mini Wildside Jar. The Mini WildSide jar may be small, but it performs just as well as any Blendtec jar, and delivers you delicious, personalized blends. Advantage: It is ideal for single-serve smoothies, the results are amazingly smooth! The customer has all the power from the regular Wildside Jar, only in a smaller size but the consistency of your blend will be: Perfect! We recommend to purchase this jar as an additional jar. If you do not want to use your big regular Wildside Jar for a single-serve smoothie, it is perfect for small portions of all kinds of things such as salad dressings, single-serve smoothies and ice cream, pesto etc. Blend just the right amount with the perfect, smoothest consistency and create countless recipes. soups, pestos, salad dressings etc. Related links to "Mini Wildside Jar"
Customer evaluation for "Mini Wildside Jar"